A simple bronze plaque with black background on a steel pole stands several feet tall. The only adornment aside from the inscription is a shield with a gold star. 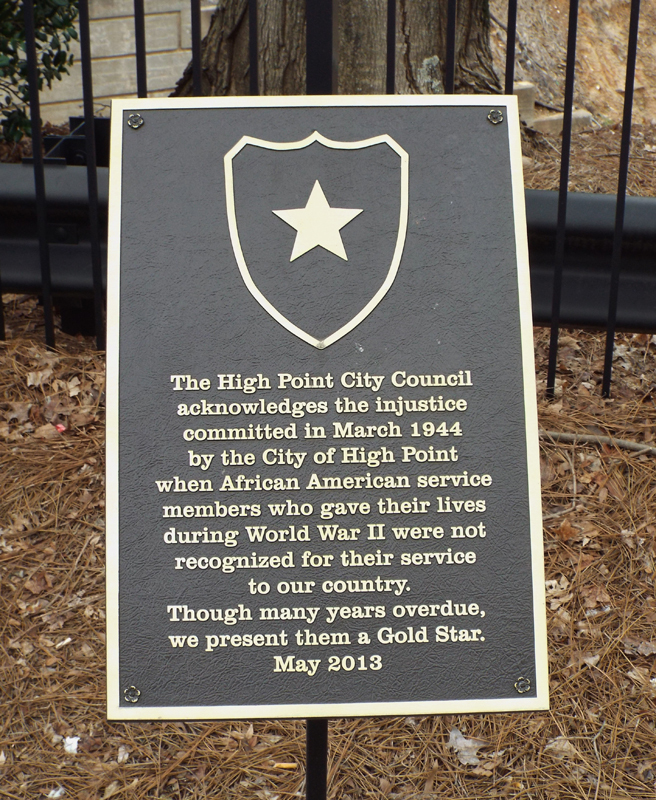 In 1944 High Point began recognizing servicemen killed in World War Two. Initial acknowledgements did not include African Americans prior to placement of this marker. The bronze marker stands on a brick plaza, or, Memorial Park, located at the intersection of N. Main Street and E. High Avenue. Other memorials include Revolutionary War Patriots, Veterans Memorial, World War Two Honor Roll, WWI Doughboy statue, and POW/MIA plaque. On the corner across E. High Street is a plaque to General Maxwell Reid Thurman. 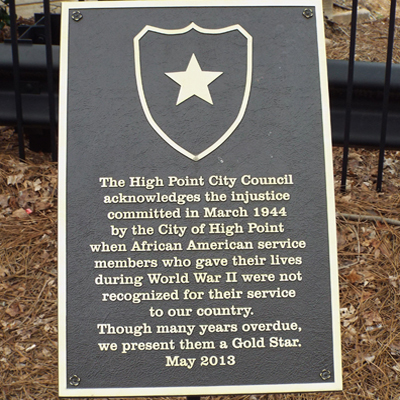 Across Main Street at the restored High Point Train depot is the Plank Road Foreman statue and “High Point” marker. Bushes and trees adorn the brick plaza where the African American Soldier Gold Star marker is located.